Ahmad Shàmlu (Persian: احمد شاملو‎‎, Ahmad Šāmlū Persian pronunciation: [æhˈmæd(-e) ʃɒːmˈluː], Azerbaijani: Ahməd Şamlı, also known under his pen name A. Bamdad (Persian: ا. بامداد‎‎)) (December 12, 1925 – July 23, 2000) was an Iranian poet, writer, and journalist. Shamloo was arguably the most influential poet of modern Iran. His initial poetry was influenced by and in the tradition of Nima Youshij. Shamlou's poetry is complex, yet his imagery, which contributes significantly to the intensity of his poems, is simple. As the base, he uses the traditional imagery familiar to his Iranian audience through the works of Persian masters like Hafiz and Omar Khayyám. For infrastructure and impact, he uses a kind of everyday imagery in which personified oxymoronic elements are spiked with an unreal combination of the abstract and the concrete thus far unprecedented in Persian poetry, which distressed some of the admirers of more traditional poetry. Shamlou has translated extensively from French to Persian and his own works are also translated into a number of languages. He has also written a number of plays, edited the works of major classical Persian poets, especially Hafiz. His thirteen-volume Ketab-e Koucheh (The Book of Alley) is a major contribution in understanding the Iranian folklore beliefs and language. He also wrote fiction and screenplays, contributing to children’s literature, and journalism. Ahmad Shamlou was born to Haydar Shamlou and Kowkab Araqi on December 12, 1925 in Rasht to an army family. Ahmad was the second child and the only son in a family of six children. In the manner of many children who grow up in families with military parents, he received his early education in various towns, including Khash and Zahedan in the southeast of Iran, and Mashhad in the northeast, and Rasht in the north. Shamlou's childhood and adolescent were neither privileged nor easy and home was not an environment that could foster his sensitivities and he often found solace in solitude. Moving with his family from one town to the next proved a hurdle to shamlou's education. By 1941, his high school education still incomplete, he left Birjand for Tehran. He intended to attend the German-established Tehran Technical School, one of the best secondary schools of that period and learn the German language. He was admitted to this school on the condition that he be demoted two years. Soon in 1942, he and the rest of the family once again left Tehran to move for Gorgan. In 1945, he made a final attempt at completing his high school degree in Urumieh, but he failed. At age 29, following the fall of Prime Minister Mohammad Mosaddeq, Shamloo was arrested for being a member of the communist Tudeh Party of Iran and imprisoned for more than one year. I, an Iranian poet, first learned poetry from the Spanish Lorca, the frenchman Éluard, the German Rilke, the Russian Mayakovsky [...] and the American Langston Hughes; and only later, with this education I turned to the poems of my mother tongue to see and to know, say, the grandeur of Hafiz from a fresh perspective. Shamlou's debut work, Forgotten Songs (Persian: آهنگ‌های فراموش شده‎‎), was a collection of classical and modern poetry which was published in 1947 with an introduction of Ebrahim Dilmaghanian. In 1948, he started to write in a literary monthly called Sokhan-no. Two years later his first short story, "The Woman Behind the Brass Door" (Persian: زن پشت در مفرغی‎‎), was published. His second collection of poems, Manifesto (Persian: قطعنامه‎‎), was published in 1951. He showed inclinations toward socialist ideology. He got a job in the Hungarian embassy as their cultural advisor. His third collection of poems, Metals and Sense (1952), was banned and destroyed by the police. His translations of Gold In Dirt, by Sigmund Motritz, and the voluminous novel The Heartless Man's Sons by Mór Jókai, together with all data gathered for his work on the colloquial culture of urban Iranian life (to be known as The Book Of Alley) were also confiscated and destroyed. In 1954 he was jailed for 14 months. in 1955 he translated and published three novels by European writers. He became the editor-in-chief of Bamshad literary magazine in 1956. He rose to fame from his next volume of poetry, Fresh Air (Persian: هوای تازه‎‎), published in 1957. Zia Movahed, poet and philosopher commented that "Anyone who reads Fresh Air today can see that this language, this texture, is different from anything else. In contemporary poetry, few have accomplished this kind of rhythm as Shamloo has. Fresh Air was the greatest event in our poetry—after Hafez". He also published a few studies on classic Iranian poetry. His translation of Barefoot, a novel by Zaharia Stancu, was released in 1958, establishing Shamlou's authority as a translator. In 1959 he began publishing short stories for children, as well as directing documentary films and working for film studios. In 1960, a new collection of his poems, The Garden of Mirrors, was released. In 1961, he became editor-in-chief of Ketab-e-Hafte, a magazine that changes the tradition and language of literary journalism in Iran. In 1962 his translations of André Gide and Robert Merle were published. Two collections of poetry were published in 1964: Ayda in Mirror and Moment and Eternity. A new collection of poems was released in 1965: Ayda, Trees, Memories And The Dagger, as well as a new translation. He also began his third attempt to compile The Book of Alley. In 1966, another new collection of poems was published, called Phoenix In The Rain, and his literary magazine was banned by the Ministry of Information (SAVAK). In 1967, he became editor-in-chief of Khusheh. His new translation of Erskine Caldwell was published, and he participated in the formation of the Union of Iranian Writers and gave several poetry readings at Iranian universities. In 1968, he began his study of Hafiz, the classical grand poet of the Persian language; translated García Lorca's poems and Song of Solomon from the Old Testament; organized a week of poetry reading for established and new Iranian poets, which was very well received. The poems debuted at this event appear in a voluminous book edited by Shamlou. in 1969, his weekly magazine was closed down by the police. Of The Air And Mirrors, a selection of older poetry, was published, together with his collection of new poems, Odes For The Earth. In 1970, Blossoming in Mist was published. He also directed a few documentary films for television and published several short stories for children. In 1971, he redid some of his earlier translations. In 1972, he taught Persian literature at Tehran University. Several audio cassettes were released of Shamloo reciting other classical and modern poets' work. He obtained membership in the Iranian Academy of Language. He published several new translations and wrote a few film scripts. He traveled to Paris for medical treatment. In 1973, two new collections, Abraham In Fire and Doors And The Great China Wall, were released, along with several new translations. “The Song of Abraham in Fire” in the collection, Abraham In Fire is one of the most well-crafted and famous contemporary Persian poems written by Ahmad Shamlou. Shamlou connects his poem to the collective consciousness of the whole world, presenting characters of the hero and even the social scapegoat rather in a curious way as we read about the case of a man who sacrifices himself for land and love and, yet, who is betrayed by others due to their ignorance and biases. In 1975, he published his work and study of Hafiz. In 1976, he travelled to the United States and gave poetry readings in many cities. He participated in the San Francisco Poetry Festival before returning to Iran. In 1977, he published his new poem, Dagger On The Plate. He left Iran in protest of the Shah's regime and stayed in the United States for a year, giving lectures in American universities. In 1978, he left the United States for Britain to act as the editor-in-chief for a new publication called Iranshahr; he resigned after 12 issues and returned to Iran just after the advent of the revolution. He rejoined the Union of Iranian Writers and began publishing a new periodical, Ketab-e Jom'e to great success. 1978 was a very active year in his life, and he published many poems and translations, as well as giving numerous lectures and readings. He was also elected to the membership of the Writer's Union's leadership. 1979 was also a year of intense activity. The first and second volumes of The Book of Alley went to print. He was also re-elected as member of the Writer's Union's leadership. Starting in 1980, owing to the harsh political situation in his country, he led a rather secluded life that would last for the next eight years, working with Ayda on The Book Of Ally, as well as many other literary endeavors, including a translation of And Quiet Flows The Don by Mikhail Sholokhov. In 1984 he was nominated for the Nobel Prize in Literature. In 1988 he was invited by Interlit, the World Literary Congress. He toured Europe giving many lectures and readings. His complete collection of poems was printed in Germany, and he returned to Iran. In 1990 he toured the United States. Human Rights and The Fund For Free Expression presented him with their annual award. Several works were published on his poetry and his overall literary contribution. In 1991 he toured Europe again and returned to Iran for another four years of intensive work. That same year, he won the Freedom of Expression Award given by the New York–based Human Rights Watch. in 1992, his work Sacred Words appeared in Armenian and English. In 1994, he toured Sweden giving numerous lectures and readings. In 1995, he finished the translation of And Quiet Flows The Don. There was a special gathering in Toronto of Iranian writers and critics to discuss Shamloo's contribution to Persian poetry. His Aurora! was also published in Spanish. In 1999, he was presented with the Stig Dagerman Prize by the Swedish Foundation. Shamlou was married three times. In 1947, he married Ashraf Isslamiya (d. 1978) and together they had three sons and a daughter: Siavash Shamlou, (1948–2009), Sirous Shamlou, Saman Shamlou, Saghi Shamlou. They divorced in 1957 after several years of conflict and long separation. His second marriage to Tusi Hayeri Mazandarani (d. 1992) who was fourteen years older than Shamlou, ended in divorce in 1963 after four years of marriage. He met Aida Sarkisian in the spring of 1962 and they were married two years later in 1964. Aida came from an Armenian-Iranian family who lived in the same neighborhood as Shamlou. Her Christian family objected to the marriage on the basis of the Islamic background of Shamlou's family. Moreover, Shamlou was older, and had been divorced twice. She became an instrumental figure in Shamlou's life and they remained together until his death in 2000. Her name appears in many of his later poems. She currently lives in Karaj. Suffering from several illnesses at the same time, Shamlou's physical condition deteriorated in 1996. He underwent several operations and in 1997, his right foot was amputated due to severe diabetic problems. He died on Sunday, July 23, 2000 at 9 p.m. at his home in Dehkadeh in Karaj due to complications from his diabetes. On July 27, thousands took part in Ahmad Shamlou's funeral. He was buried in Emamzadeh Taher, Karaj. You can find recording of his poetry, in his own voice, in almost every Iranian home. He had turned into a myth years ago. His words have had the charisma and magic of a prophet. He did not lead by decree. He just lived and his life and words scattered through the minds and hearts of several generations of Iranian humanists and liberals, giving them hope, faith and aspiration. Ahmad Shamlou has published more than seventy books: 16 volumes of poetry; 5 anthologies of poetry; 5 volumes including novels, short stories & screenplays; 9 volumes of children's literature; 9 translations of poetry into Persian; 21 novels translated into Persian; 5 collections of essays, lectures and interviews; 10 volumes (to date) of The Book Of Alley. 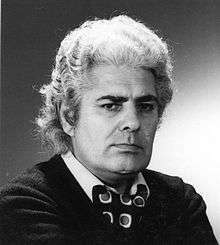 Ahmad Shamlou's poetic vision accords with both western Modernist concepts and the modern transformation of classical Persian poetry. The Spanish poet, Federico Garcia Lorca, the African American poet Langston Hughes, the French thinker and writer, Louis Aragon, and Nima Youshij are among the figures who influenced him. One of the disciple of Nima Youshij, Shamlou, standing among the generation who adopted his techniques, constantly sought untried ways, new poetic realms. He quickly became the flag bearer of young Iranian poets and writers that included Forough Farrokhzad, Sohrab Sepehri, Mehdi Akhavan Sales, Yadollah Roya’i, Nosrat Rahmani, and Nader Naderpour. Shamlou is known for employing the style and words of the everyman. He developed a simple, free poetic style, known in Iran as Sepid Persian Poetry (literally meaning white), which is a kind of free verse that departs from the tightly balanced rhythm and rhymes of classical Persian poetry. The themes in his poetry range from political issues, mostly freedom, to human condition. Shamlou’s poems are filled with mythological concepts and symbols to glorify seemingly simple and ordinary figures who are politically condemned for their revolutionary beliefs that, regardless of governmental suppression, actually reflect the activists’ deep love of their nation and people. Even though his focus is the purity of such individuals, many of whom were his close friends, Shamlou writes his elegiac poems boldly and does not hold back from criticizing and denouncing hypocrisy and cruelty of his society. Shamlou was a Marxist and a socially minded intellectual who has woven personal love and affection together with his social attitudes. He was a major force in the intellectual movement opposed to the former Shah of Iran before the 1979 revolution. During his long life, Shamlou was politically active and imprisoned twice, first after the end of World War II and then after the 1953 coup, but he continued to remain socio-politically active by writing poems devoted to political and social critique even after the Iranian Revolution. In 1976, he left his country as a form of protest against censorship and the suffocating political atmosphere. In 1977, one year before the collapse of Shah's Regime, he signed an open letter which supported the rights of gathering for members of The Writers Association of Iran. New Islamic regime wasn't favorable to him, considering him as an anti-Islamist nationalist element, a traitor and a Westernised writer. However, with a view to his popularity, the ruling clerics could not arrest him, but at the same time didn't allow publication of his works for many years. Since the early 1990s his poems have appeared in many literary journals. ↑ "1999 ĺrs Stig Dagermanpristagare Ahmad Shamloo". Dagerman.se. Archived from the original on 11 August 2010. Retrieved 2010-08-09. ↑ Fatemeh Keshavarz (2006). "Recite in the name of the red rose". USA: The University of South California Press. p. 2. ↑ آرمان هنر جز تعالی تبار انسان نیست. Adineh (in Persian). Tehran: Adineh Magazine. 1993. p. 20. ↑ "Ahmad Shamlu: Master poet of Liberty". Iran-bulletin.org. Retrieved 2010-08-09. ↑ "Fars News Agency : سياوش شاملو درگذشت". Farsnews.com. Retrieved 2010-08-09. ↑ Papan-Matin, Firoozeh (2005). "The Love Poems Of Ahmad Shamlu". USA: IBEX Publishers. p. 18. ↑ "Ahmad Shamlou, 75, one of Iran's finest poets, who fell... - Baltimore Sun". Articles.baltimoresun.com. 2000-07-25. Retrieved 2010-08-09. ↑ "Feature, Shamlou's funeral". The Iranian. 2000-08-01. Retrieved 2010-08-09. ↑ "Photography, Shamlou's funeral, Nader Davoodi". The Iranian. Retrieved 2010-08-09. ↑ "Visiting old friends at Imamzadeh Taher". Payvand.com. Retrieved 2010-08-09. ↑ "Words for the Shah | The New York Review of Books". Nybooks.com. Archived from the original on 26 August 2010. Retrieved 2010-08-09. 1 2 "Journal Page jur00lr". Solopublications.com. 2000-07-26. Retrieved 2010-08-09. Mojabi, Javad. (2004). Bamdad's Mirror: Satire and Epic in Shamlou's Works. Digar Publication. ISBN 964-7188-50-1. Wikimedia Commons has media related to Ahmad Shamlou.